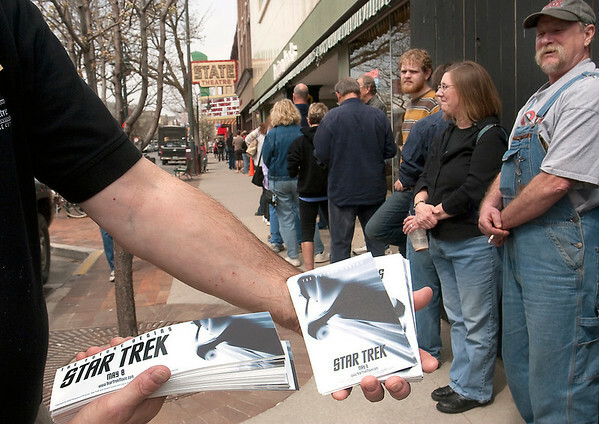 David Mainz hands out stickers and bumper stickers to movie fans standing in line for free tickets to a surprise showing of the new "Star Trek" movie Wednesday evening at the State Theatre. In addition to tickets, popcorn and sodas also were free. Tickets were gone in 12 minutes, according to Mike Assenmacher, a box office volunteer.